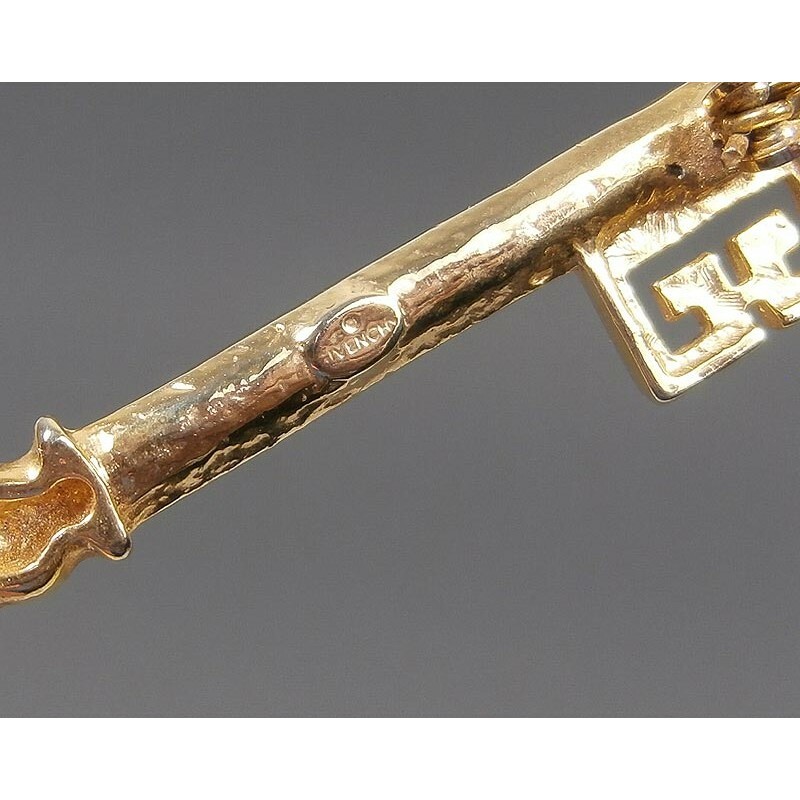 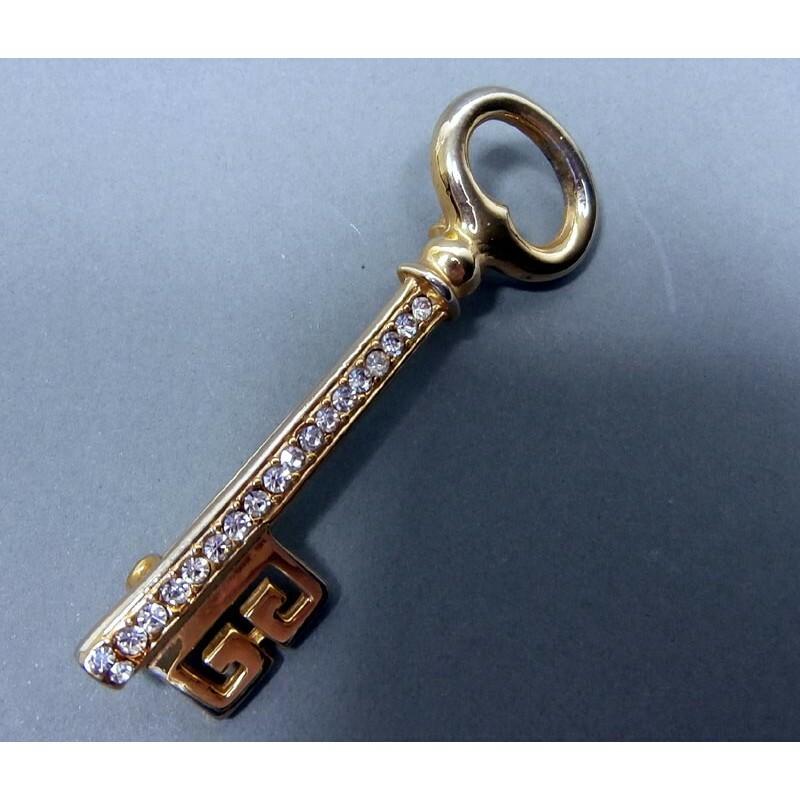 Givenchy "Key To My Heart" Signed Vintage Brooch, Ideal For Valentines Day. 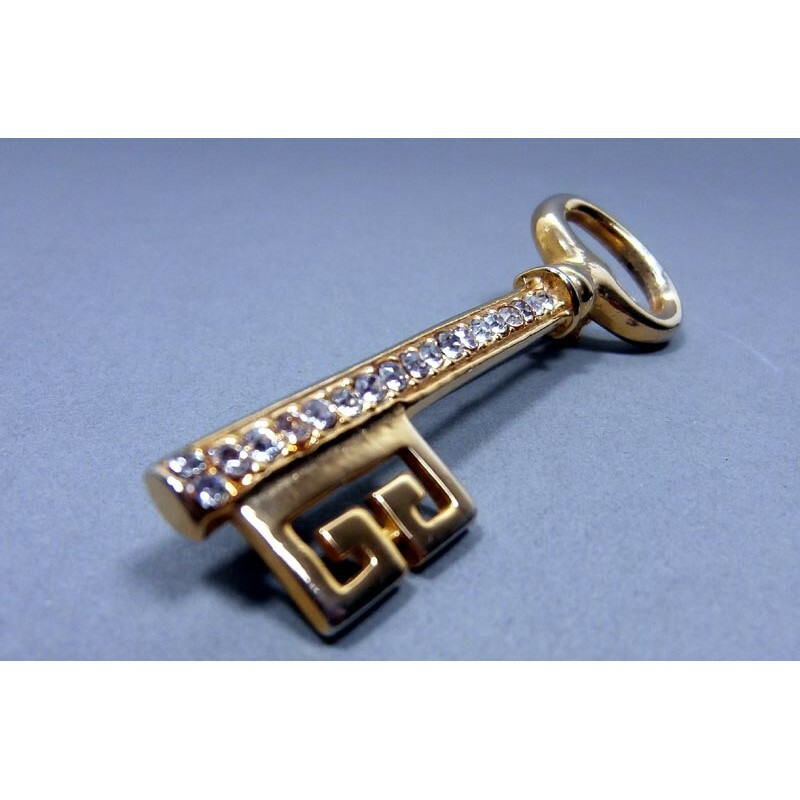 Gold tone with diamante stones. 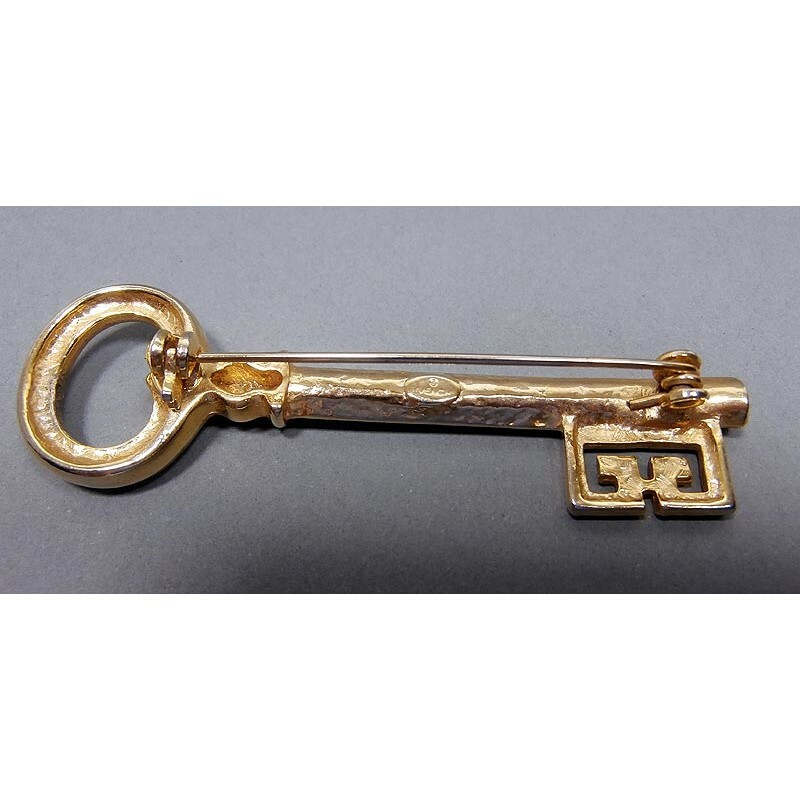 Givenchy name logo, imprinted on the back of the brooch. Pre-owned and vintage, but comes in good condition. 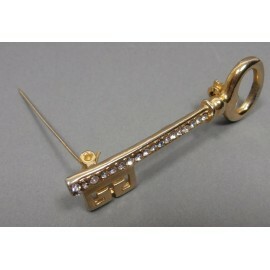 Length 7 cms x 2 cm max.